Are you interested in a career as a Yacht Engineer? Unsure of where to start, what qualifications you require, or if it’s possible to get a job as a Yacht Engineer with no experience? This ultimate guide will introduce to you how to become a yacht Engineer onboard a superyacht. So whether you are new to the yachting industry, fresh out of University with an Engineering Degree or in the process of transferring over from working on commercial vessels to superyachts, this guide will assist you in getting a job as a Yacht Engineer. What is a Yacht Engineer? The main role of a Yacht Engineer is mainly responsible for the safe and efficient running of the yacht. According to the Safety of Life at Sea (SOLAS) convention, it is the responsibility of the Yachts Chief Engineer to look after the safety of maritime professionals and other Engineers working in the engine room. Depending on the size of the superyacht, the Chief Engineer can either work individually or be in charge of an engineering department. The department maintains the mechanical and electrical operations of the vessel from main engines to small appliances. An Engineering department will generally have a good overall knowledge and understanding across a wide range of equipment found onboard Superyachts. The requirements and skillset of a Yacht Engineer with the ever-evolving technology onboard superyachts is almost limitless. A Yacht Engineer on a Superyacht in this day and age must be able to transition well between engine room work and interacting with guests, it’s no longer a behind the scenes position. Chief Engineer may look after the electrics and electronics if there isn't an electrician or ETO (Electronic Technical Officer) on board the superyacht. -Carry out watch keeping duties as required as per the vessels Safe Manning requirements. -Ensure all vessel equipment is maintained in a proper and safe working condition at all times, as dictated by the vessel’s Safety Management System. -Ensure the vessel’s communication equipment is fully operational at all times. -Ensure any engineering work carried out onboard is done in a manner that is safe for personnel, the vessel itself and the environment, in accordance with guidelines set out in the Code of Safe Working Practices for Seamen (COSWPS), SOLAS, MARPOL, and the vessel’s Risk Assessment and Permit to Work plans. -Keep all relevant documents and logs up-to-date, including, but not limited to, the Engine Room Log, Oil Record Book, Refrigeration Log, Planned Maintenance, and Work History Logs. -Manage & log the disposal of dirty oil, bilge water and sludge from the vessel according to MARPOL, Flag and Port State regulations. -Safely bunker fuel and oil according to MARPOL, Flag and Port State regulations. There are really two main entry routes into becoming a yacht engineer, which follow two distinct certification pathways – entering from commercial shipping, or working through the new MCA Small Vessel (SV) Engineering certification routes. Before you can think about becoming a Yacht Engineer or getting a job on a superyacht you need to get your STCW Basic Safety Training and ENG1 Medical. Checkout out our Ultimate Guide on How To Get a Job on a Superyacht to find out how to get started in the yachting industry. What is the Small Vessel Engineering Certification? What is an Approved Engine Course (AEC)? The AEC is now a 2-part course consisting of the Approved Engine Course 1 (existing AEC course) and a new MCA Approved Engine Course 2. The Approved Engine Course 1 is an entry-level MCA approved certification. It is a 5-day course that aims to provide candidates with the basic theory and practical hands-on training of diesel engines. The Approved Engine Course 1 is the entry ticket into becoming a yacht engineer, it is, therefore, essential to hold this Junior/Assistant Engineer qualification in order to progress towards the Small Vessel Engineer Officer Route. The Approved Engine Course 2 is now part of the new Second Engineer Officer Small Vessel Certificate of Competency, it’s a new addition for a more in-depth practical and theory built on top of the Approved Engine Course 1 (AEC). The 2nd part of the AEC course will be split 50/50 between practical and theory. The key areas the Approved Engine Course 2 will focus on are basic maintenance skills, electrical distribution, refrigeration plant, safe systems of work, legislation and management, onboard maintenance, safe operations for lifting and basic hydraulic maintenance. What is a Small Vessel Second Engineer SV? 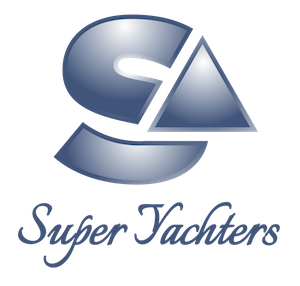 There are three routes to obtaining a Second Engineer Officer Small Vessel Certificate of Competency; which was previously known as the Y4 Yacht Engineer, now it is known as the Second Engineer SV less than 9,000kW or less than 3000 GT CoC. This standard route is for Yacht Engineers who currently hold a Diploma in Maritime Studies: Vessel Engineer from an MCA-Approved training centre. This route is the fastest Small Vessel Route to getting your Second Engineer SV CoC. -Complete 36 months combined seagoing service and workshop training of which at least 6 months must be watchkeeping/UMS duties (Seagoing Service must be prior to enrollment on course 24 months on 200 kW vessels. The remaining must be on 350 kW vessels). Candidates must study three modules and pass an engineering skills test in order for the Maritime and Coastguard Agency (MCA) to permit them to apply for a Notice of Eligibility (NOE). Candidates are then able to undertake an oral exam and attain the Small Vessel Second Engineer (SV) CoC (previously the Y4 certification). -minimum of 6 months seagoing service on vessels of 350 kW. Complete 6 months seagoing service whilst holding Chief Engineer (SV) – less than 500GT and 3,000kW on vessels more than 750kW. If you are holding an EOOW CoC from your typical Cadetship route, candidates are in a great position to transfer over to working on a Superyacht. Typically, 3rd Engineer on a larger yacht will be the starting point in the Superyacht industry. The main advantage of commercial certificates is the Unlimited License which opens up jobs on some of the world’s largest mega and superyachts. Remember that holding an engineering ticket is not only important to secure a yacht job but so is your experience and abilities, the more qualified and skilled you are the higher the salary. How Much Does a Yacht Engineer Earn? In addition to salary, Yacht Engineers received industry standard packages including board, travel, full health care and also generally when in a higher Engineering position you will be on time for time rotation, which means you receive paid leave for half of the year. This can be split into different rotation patterns, common ones are 2:2 (2 months on/off), 3:3 (3 months on/off), 10:10 (10 weeks on/off). How to Find a Job as a Yacht Engineer? Providing you have completed the STCW Basic Safety Training and hold your ENG1, you can start to look for a job on a yacht. Finding a job as a Yacht Engineer can be tough with no experience so it’s best to check out the meriting training academies and gain the relevant qualifications before finding your first job as a Yacht Engineer. A great starting point would be our Ultimate Guide of How to Get a Job on a Superyacht, which mentions how and where to find a yacht job, whether it be by Dock Walking, networking, or through a superyacht crew agency.